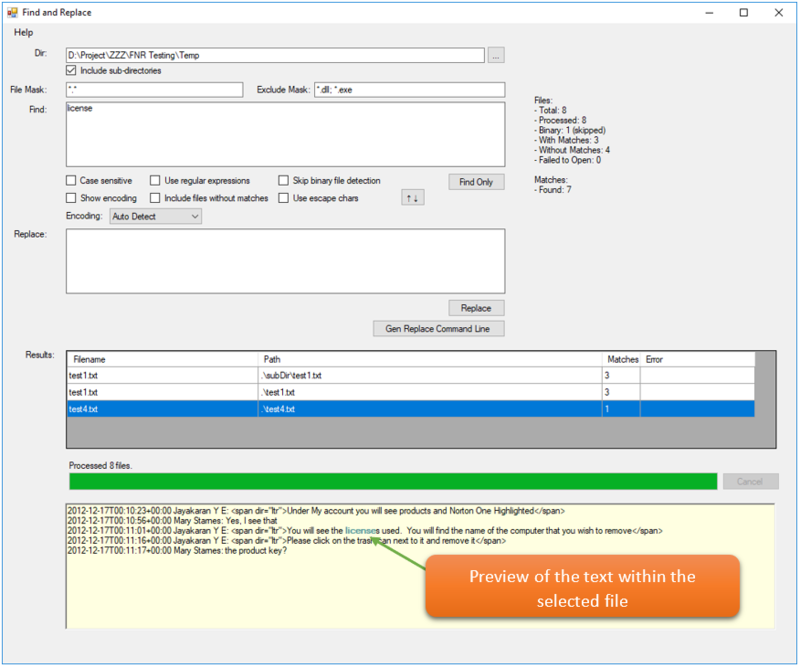 Find and Replace (FNR) has a very simple and easy to use UI which provides search and replace operations across multiple ASCII (text, HTML, etc.) files. You can find/replace text in multiple files by specifying the path in Dir field. 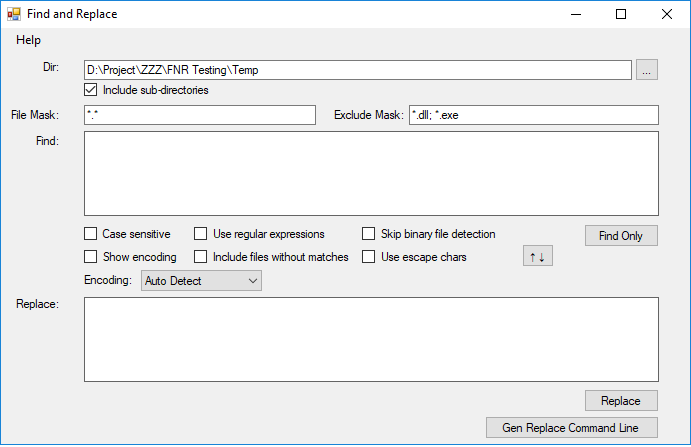 You can also specify file masks, and even exclude some file masks. You can search documents for a phrase or several words, multi-line or regular expression. Let’s try to search “license” by specify it in Find field and click on the Find Only button which will search for all occurrences of “license”. The Results section will display all the files in which the results are found. Now to replace a text just specify the text in Replace field and click Replace button and all the occurrences of text specified in Find field will be replaced with the text specified in Replace field.